5-pocket slim-fit denims in a new ultra-comfortable fabric. Jeans with incredible stretch! You'll walk, run, move with total freedom of movement. No creases. Holds its shape. Waistband with belt loops. Button fastening. 2 rounded pockets + 1 coin pocket at front. 2 patch pockets + leather label at back. Topstitched finish. Inseam 86cm, leg width 17cm approx. 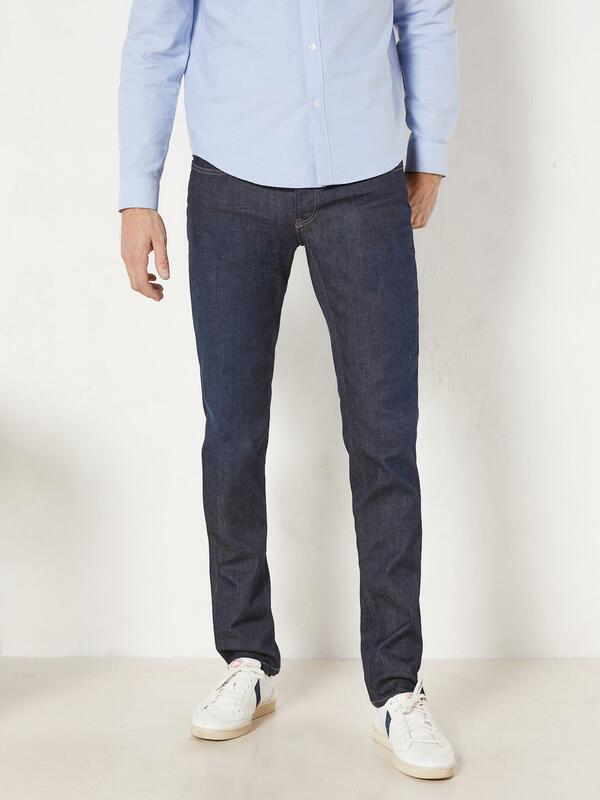 Denim, 87% cotton, 9% polyester, 4% elastane.